书籍简介: Any young student should find this intuitive, well-designed thesaurus quite helpful, as well as useful, practical, handy, beneficial, and versatile. If you have an aspiring wordsmith on your hands--or just a kid who's renowned for his prolific deployment of the words nice and okay--this 204-page thesaurus offers well over 1,000 primary entries and more than 10,000 supplementary entries using a clever on-the-page index. Instead of a traditional index, the Scholastic Student Thesaurus lists supplemental entries alphabetically on every single page. For example, helpful doesn't appear between helper and herb as a primary entry, but the index below on the same page refers young synonym-searchers to the main entry for useful. Each entry also contains part-of-speech labels, and many include usage notes and other synonym and antonym cross-references. 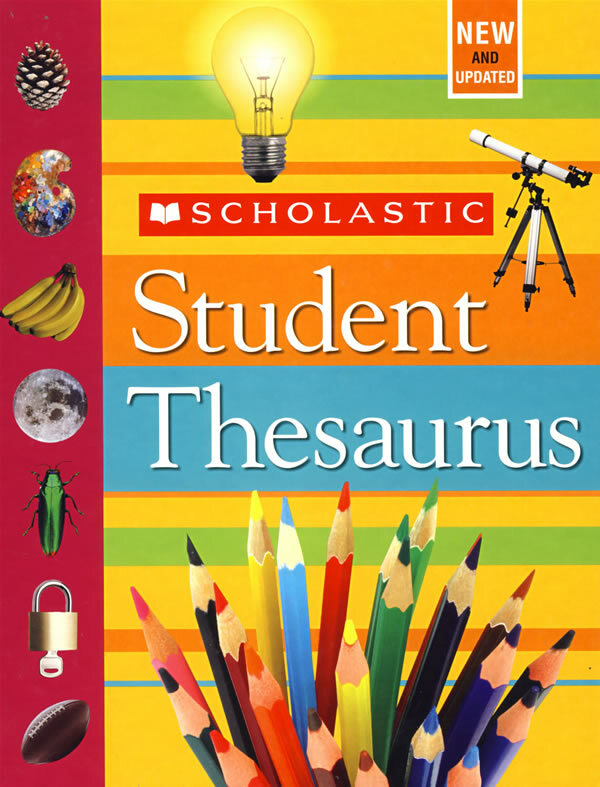 With its clean look, thoughtful introduction, and kid-friendly accessibility, the Scholastic Student Thesaurus makes a fine introduction to what may quickly become an indispensable, essential, fundamental writing tool. (Ages 10 and older) --Paul Hughes --This text refers to an out of print or unavailable edition of this title.